Did you ever give any thought to that chorus: “It’s bigger than hip-hop”? The line is so catchy, the flows so striking, the bass so overwhelming, that I wonder how many people have taken the time to consider what the classic Dead Prez track is really saying. 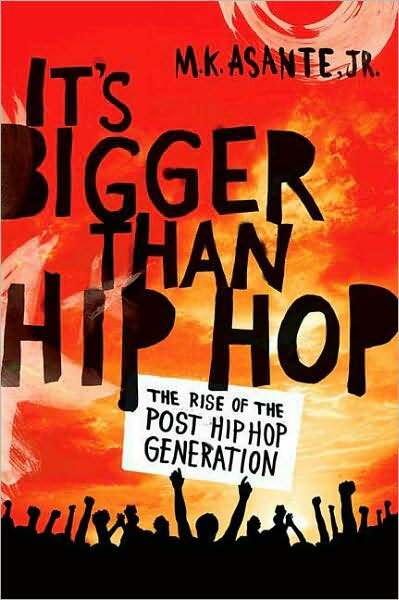 With his remarkable book, “It’s Bigger Than Hip-Hop”, MK Asante Jr takes the sentiment of the song and turns it into a manifesto; a discussion document for a new generation (the ‘post-hip-hop’ generation) to help define and develop its role in the struggle for a better future. Asante remarks that hip-hop has effectively been colonised. It has become a key part of a music industry that is entirely controlled by rich white men (while Jay-Z gets to be considered the ‘CEO of hip-hop’, the sad fact is that not a single Black person sits on the board of directors of any of the main parent companies that own labels such as Def Jam). That music industry has been busily trying to turn hip-hop into its opposite – from a tool of freedom into a tool of oppression, projecting an image of Black people that the white supremacist ruling structures are entirely happy with (that is, an image of simple, primitive, hypersexualised people only too willing to kill themselves with drugs and guns). MK Asante Jr opines that the current generation of politically/culturally/socially active youth does not identify with hip-hop in the same way that young people identified with it 20 years ago. Therefore, Asante argues, the post- hip-hop generation has to move beyond the limited discourse of current hip-hop, using it as a voice where possible, but not being constrained by it. Asante goes on to analyse in depth the wider social, economic and cultural problems facing this generation – the issues that hip-hop *should* be engaging with, starting with the changing role of mass media and the part it plays in shaping the thoughts and activities of our generation. This is a critical point that few radical writers have engaged with – the ability of the ruling classes to control people’s minds is *increasing*, not decreasing; the ability of the older generation of oppressed peoples to transmit their values to the younger generation is *decreasing*, not increasing, for the same reason. This is a disastrous situation for all oppressed people, but particularly for Black people, who have practically zero representation at the ownership level in the mass media. MK Asante Jr moves on to the closely-related problem of the generation gap, which is more prominent than ever before, and which stands in the way of unity for progress. The media has been a major force in creating this problem, on the one hand reducing the power of the traditional community institutions where different generations would interact, and on the other hand presenting the older generation with a crass, warped view of the younger generation (via MTV, BET, cop shows, etc). As Michael Dyson often argues, the generation gap between the Hip Hop generation and the Civil Rights generation has created a shameful disunity over the last 30 years. The media, the fear culture, the social paranoia arising from the crack explosion, the breakdown of communities, the changing nature of racism and exploitation, the rise of unemployment, the defeat of the Black Power movement, the changing values of the youth – all of these have fed into the problem. Asante points out that this gap must be analysed and overcome if the major problems of our society are to be fixed. Arguing for a broad unity of all oppressed people, and all those struggling for a better future, Asante points out that all struggles against oppression and exploitation are connected, and that all attempts to disrupt the unity of the oppressed must be defeated. Another issue that is rarely touched upon in the mainstream political discourse is that of prisons. There are currently 1.5 million Black Americans in prison. There is no precedent for this level of imprisonment anywhere in the world, ever. WEB DuBois wrote over a hundred years ago that “the courts have become a universal device for re-enslaving blacks”. If this was a problem in 1903 (when The Souls of Black Folk was published), it is a much bigger problem now, where the so-called War on Drugs (in reality the War on Black and Latino Youth) has been going on for forty years. Asante cites then-president Richard Nixon: “You have to face the fact that the whole problem is really the blacks. They key is to devise a system that recognises this while appearing not to.” Nixon defined a clear strategy for dealing with this ‘problem’: pump drugs into the Black community, create anxiety, create fear, create crime, create a context in which many people are actively calling for a greater state presence in the community, and then target that same community in a ‘war on drugs’. Asante, who is a tenured professor at Morgan State University in Baltimore, also discusses the education system, which he points out is still deeply racist and which actively supports the prevailing system of exploitation and oppression. Asante calls on his readers not to leave their education purely in the hands of a state that doesn’t represent their interests. He calls on his readers to take an active role in defining their own education – studying relevant material, in a way that suits their culture and experience, and which directs them towards liberation, rejecting oppression, exploitation, racism, misogyny, eurocentrism and white supremacism. Asante particularly focuses on the urgent need to use all means at our disposal to educate ourselves and others. He poses the question: how can we free ourselves without understanding society, without understanding history, without breaking our ideological reliance on the system that oppresses us? So where does hip-hop fit into all of this? Can hip-hop still be used? Of course. Hip-hop is a very powerful weapon. It’s a voice; it should be used widely, and people should remember that it is part of a continuous African-American (and, before that, African) tradition of using art as a means of changing society for the better, for guiding people, for inspiring people. “It’s Bigger Than Hip-Hop – The Rise Of The Post-Hip-Hop Generation” does a wonderful job of raising the issues that face young people today, and it lays the ground for a wide-ranging discussion about how we can address and solve those issues, using all the tools available to us. “It’s Bigger Than Hip-Hop” is a brilliant, well-written and thought-provoking book. Although its primary target audience is young people of African origin in the US, it has clear relevance for all those who want to participate in making the world a better place. 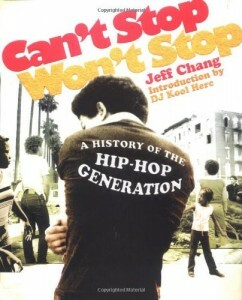 In under 500 pages, Jeff Chang has managed to give a detailed, fascinating and relevant history of hip-hop culture, covering almost every important aspect: the social conditions that gave rise to it, the stories of the people and communities that pioneered it and moved it forward, its transformation from a primarily party-oriented movement to a culture of resistance, its re-transformation to a culture of individualism and consumerism, and a peek into its future. While many (probably hundreds) of books have been written about the history and sociology of hip-hop and the people who listen to it, I can’t think of any that cover quite as much material as “Can’t Stop Won’t Stop”, and there are very few written in an accessible style. Jeff Chang combines the detailed knowledge and big picture understanding of the academic world with the passion and politics of the street (fittingly, he describes his location as “Brooklyn and Berkeley” (Berkeley is a university in California with a reputation for student activism)). Chang devotes the first few chapters to exploring the social conditions prevailing in New York, particularly the South Bronx, in the years leading up to the birth of hip-hop. In many ways, although it is not directly about hip-hop, this is the most important section of the book, as this history gives some important clues as to what makes hip-hop so special, so important. Chang describes one of the most crucial events that shaped the early hip-hop generation: the construction of the Cross-Bronx Expressway, between 1948 and 1972. This single road, designed to decrease travel times for rich suburban commuters, forced the relocation of some 60,000 working class Bronx residents. While many white residents “moved north to the wide-open spaces of Westchester County or the northeastern reaches of Bronx County”, the majority of African and Latino residents had little choice but to move to the South Bronx, where there was a boom in social housing but a near-total lack of jobs. Chang gives vivid descriptions of the social degeneration that followed the economic degeneration, as the most prominent face of the South Bronx became the gangs, the slum landlords, the insurance scam fires, the race tensions, and the drugs. The social policy response from the government was, basically, to ignore the ghetto, to pretend it didn’t exist. With the black power movement of the late 60s and early 70s defeated for the time-being, the state shut down the social programmes and replaced them with the fiction of ‘trickle down’ economics. Back in those days at least, the gangs and the major movements for political change were not a million miles apart. The Black Panthers, for example, had taken some important steps towards turning gangs away from the path of self-destruction and towards the path of revolution. In New York, the Puerto Rican revolutionary group The Young Lords had started as a street gang and had transformed themselves into an organisation for helping the community. They also had a powerful effect on the South Bronx gangs, especially when the gangs and the revolutionary groups discovered a shared enemy: police. 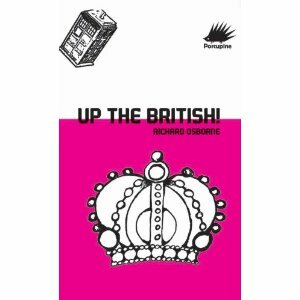 As the gangs found common ground in their opposition to police, to heroin dealers and junkies, and to poor social provision in their neighbourhood, a new era of unity started to emerge. It became suddenly possible for kids from different blocks, different gangs and different races to mix. All were drawn to the emerging block party scene, where young DJs like Kool Herc – generally considered to be the creator of the hip-hop movement – were making their names, putting on big parties much influenced by Jamaica’s sound system culture (which Herc, a first generation Jamaican immigrant, had grown up with). The mix of African-American, Puerto Rican and Caribbean youth cultures – strangely vitalised by poverty, awash with rebelliousness, heavily inspired by Black Power and Puerto Rican socialist movements, in this North American cultural capital that had given birth to swing, be-bop, disco, Marcus Garvey and Malcolm X – was explosive. Impoverished young people, struggling to survive in a deprived area that the world had chosen to ignore, gave birth to a culture of music, dance (breakdancing) and art (graffiti) which the world couldn’t ignore, and which it eventually would have no choice but to adopt. Having written about the social origins of hip-hop, the early innovators such as Kool Herc, Grandmaster Flash and Afrika Bambaataa, the emergence of graffiti, the emergence of breakdancing, and other important topics related to the ‘early years’, Chang turns his attention to the emergence of ‘political rap’. Hip-hop had originally emerged as a party movement. It wasn’t overtly political, although it was implicitly political in that: 1) it brought young people from diverse impoverished communities together and gave them a way out of a culture of self-destruction; 2) it gave a powerful voice to oppressed people who weren’t supposed to have a voice. However, by the time the mid-80s rolled around, there was no escaping politics. Reaganomics – the set of anti-poor economic policies associated with the Reagan government – was in full effect, and social welfare budgets were being cut left, right and centre. The gap between rich and poor, and between people of colour and whites, was growing at an incredible rate, as was the prison population. US foreign policy needs (principally their desire to give financial support to the fascistic Contra movement in Nicaragua) had created the conditions for the rapid and devastating spread of crack cocaine in the black ghettoes of Los Angeles and elsewhere (“Nearly half of America’s largest cities is one-quarter black; that’s why they gave Ricky Ross all the crack”, says Mos Def in his classic ‘Mathematics’). Chang gives a detailed coverage of the emergence of Public Enemy – without a doubt the best-known and most important political rap crew in history (I’ll write more about them when I review Russell Myrie’s biography of PE, ‘Don’t Rhyme for the Sake of Riddlin’). He also points out some of the major milestones in late 80s and early 90s political rap, such as Run DMC’s performance at the Columbia University campus protest against apartheid, and KRS One’s co-ordination of the Stop the Violence Movement. For many long-time hip-hop fans, that period of a few years when political rap was thriving is considered the ‘golden era’. Here was a vibrant, rebellious youth culture that spoke to the needs of working class and oppressed people everywhere. The backlash didn’t take long to arrive. Upset by the pro-poor, pro-black lyrics of Public Enemy (and particularly their pro-Palestinian stance), mainstream journalists whipped up a frenzy of opposition to Public Enemy and other Afrocentric and black nationalist artists, labelling them as racist and anti-semitic. When certain comments made by Public Enemy’s Professor Griff regarding the Palestinian intifada were deemed to be anti-semitic, a national storm was created and numerous calls were raised for a boycott of Public Enemy’s music (what Griff actually said is still disputed, and this issue will be covered in depth in a future post). Artist interviews were misquoted, lyrics were taken out of context, and rappers were demonised. The threat of boycott became a major establishment weapon. The big players in the music industry (still very much controlled by the old, rich, exclusively white corporates) got the message loud and clear: hip-hop could be exploited for financial gain, but it was not to be a platform for radical politics. After all, the FBI didn’t pursue its elaborate, expensive and murderous COINTELPRO operation just so that black and working class power could re-emerge in the form of rap music. Having given a brilliant description of the hip-hop generation, charting its highs and lows, Chang resists the temptation to give a prescription as to what needs to happen for hip-hop to regain its radical essence. Instead, he concludes his book with several important examples of grassroots activists from the hip-hop generation using the music and cultural imagery of hip-hop to positive effect in their communities. This at least gives a hint as to how Chang sees hip-hop heads re-developing music as a weapon. If you love hip-hop, you should pick up a copy of Can’t Stop Won’t Stop. It’s a beautiful book.